Since January, I've had the privilege of spending my Saturday mornings studying Scripture and praying with a small group of women. It is easily one of my favorite parts of each week. There's a spirit of humility and honesty as we approach God's Word and carry each others burdens to the throne of grace. I wanted to share the study method we've used because I think it's perfect for small groups and even one-on-one Bible study. For the Christian who hears about discipleship, but doesn't know how to do it, this is an easy way to start. There are so many great Bible study resources available, especially for women. I've used and benefited greatly from many of them. But sometimes I think it can seem like studying the Bible is hard and complicated, and we need lots of resources to do it. Or sometimes we skip around and read enough to fill in the blanks in workbooks, but don't feel like we can study without the blanks. I've definitely been there. But there's something so freeing and enjoyable about engaging a book of the Bible without workbooks, especially as we lead others who are new to the Bible. I first read about this method, called the Swedish Method, from the book One-to-One Bible Reading. Then my mom pointed me to an expanded version in this article by Marshall Segal. My mom has used this method in the women's studies in her church. The method we use is basically Segal's with an added symbol. How it works: Each person comes to study with the passage prepared, having identified the following symbols. I write them directly in my Bible, but others prefer to use a journal so they have more room. Then we go around and each share them, one-by-one. We all discuss what our light bulbs were, then we all move on to questions, and so on. Another benefit to this is that it prevents the conversation from being monopolized by one or two people. Everyone is encouraged to talk about their symbols. Light Bulb: What struck you or stood out when you read this passage? Did you notice something you haven't seen before? Question Mark: Did these verses raise any questions as you read? Try to answer the questions on your own, using other Bible passages. Cross: Where do you see Jesus Christ in these verses? What in this passage helps you see Jesus differently or love Him more? Arrow: How can you personally apply this to your life? How is the Spirit leading you to implement something you've learned from this passage? Speech Bubble: What do you see in this passage that you want to share with someone? Who is God leading you to share it with? Pray that God would give you an opportunity. 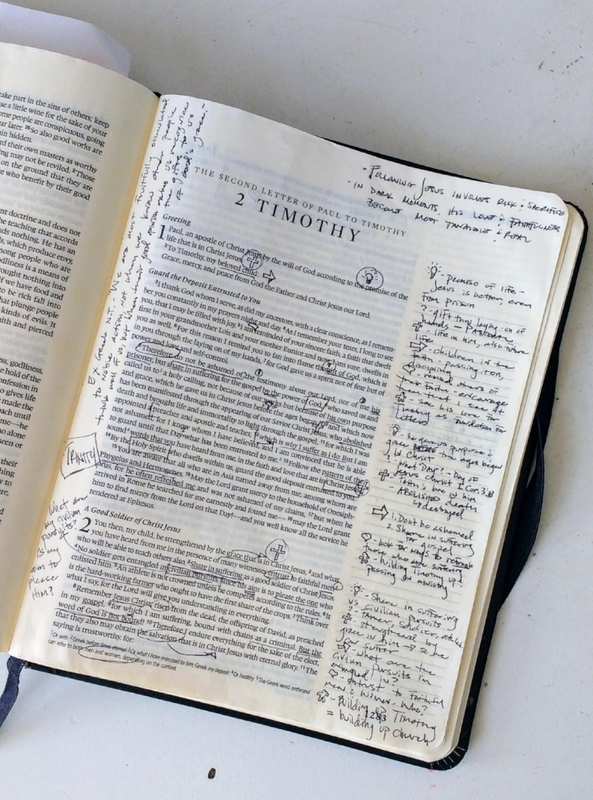 Puzzle Piece: Why are these verses in this particular place in this book of the Bible? What is the author's main point? We also use and love the videos from The Bible Project. Before we study a book, we watch the video to get the main purpose of the book, and to understand the culture to which it was written. It's easy to skip over the context and assume it was written to us and applies just to us. Understanding the context in which a book was written helps us to worship God rightly and to prevent placing ourselves in the middle of the narrative, rather than seeing Christ as rightly at the center. I hope this is helpful, and if you use this method or have another favorite study method, I'd love to hear about it!